A Southwest Airlines boarding agent mocked the name of a five-year-old girl with epilepsy. 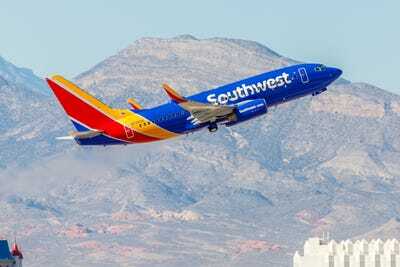 According to Newsweek, a Southwest Airlines staff member at John Wayne Airport in Orange County, California, singled out 5-year-old Abcde (pronounced ab-city) Redford during the pre-flight boarding process. The girl’s mother, Traci Redford, said the agent “mocked” her daughter’s unusual name as he checked her boarding pass, pointing and laughing and talking about her name to other employees. The gate agent also took a picture of Abcde’s boarding pass and later posted it on social media, presumably to draw attention to her name. In a statement to Business Insider, Southwest Airlines apologised to the family. A Southwest Airlines boarding agent mocked the name of a 5-year-old girl with epilepsy, multiple sources have reported. According to Newsweek, a Southwest Airlines staff member at John Wayne Airport in Orange County, California, singled out five-year-old Abcde (pronounced ab-city) Redford during the pre-flight boarding process. Newsweek reports the girl’s mother, Traci Redford, said the agent “mocked” her daughter’s unusual name as he checked her boarding pass, pointing and laughing and talking about her name to other employees. “The gate agent started laughing, pointing at me and my daughter, talking to other employees. So I turned around and said, ‘Hey if I can hear you, my daughter can hear you, so I’d appreciate if you’d just stop,'” Traci Redford said, according to ABC 7. Abcde has epilepsy, so the Redfords always board early, ABC 7 reported. During the boarding, the gate agent took a picture of Abcde’s boarding pass and later posted it on social media, presumably to draw attention to her name. “While I was sitting there, she took a picture of my boarding pass and chose to post it on social media, mocking my daughter. It was actually brought to my attention by somebody who had seen it on Facebook and reported it to Southwest Airlines. And after two weeks of doing a formal complaint, Southwest hadn’t done anything,” Redford said, according to ABC 7.